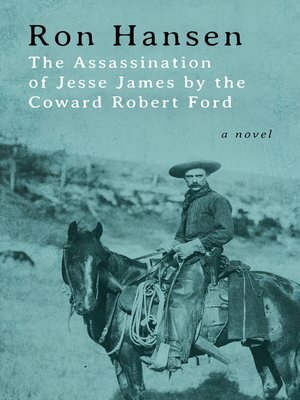 A powerful novel of the infamous Western outlaw and his killer: "The best blend of fiction and history I've read in a long while" (John Irving). James's many epithets live on in newspapers and novels alike. As his celebrity was reaching its apex, James met Robert Ford, the brother of a James gang member—an awkward, antihero-worshipping twenty-year-old with stars in his eyes. The young man's fascination with the legend borders on jealous obsession: While Ford wants to ride alongside James as his most-trusted confidant, sharing his spotlight is not enough. As a bond forms between the two men, Ford realizes that the only way he'll ever be as powerful as his idol is to become him; he must kill James and take his mantle. In the striking novel that inspired the film of the same name starring Brad Pitt and Casey Affleck, bestselling author Ron Hansen retells a classic Wild West story that has long captured the nation's imagination, and breathes new life into the final days and ignoble death of an iconic American man.